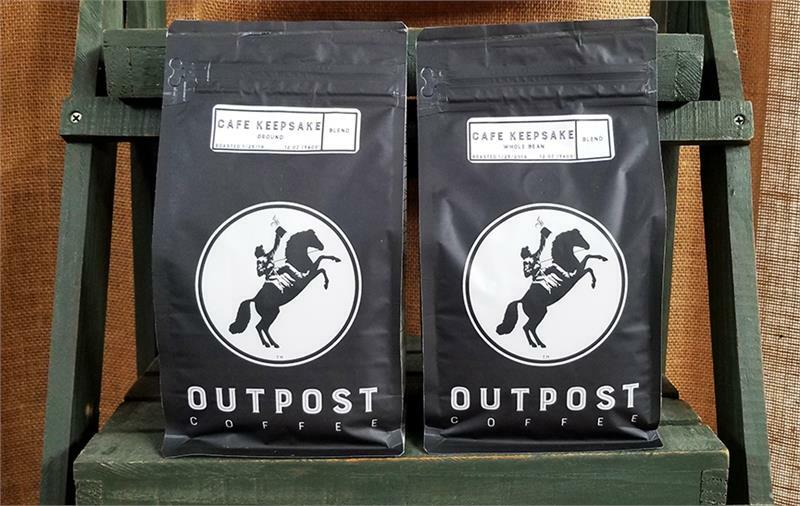 Café Keepsake is our exclusive custom blend from local coffee producer, Outpost Coffee. This delicious concoction is a dark roast blend of Guatemalan and Colombian beans with a burnt sugar sweetness, a dense body and a long, dark chocolate finish. Available in 12-oz bags, either whole bean or ground.